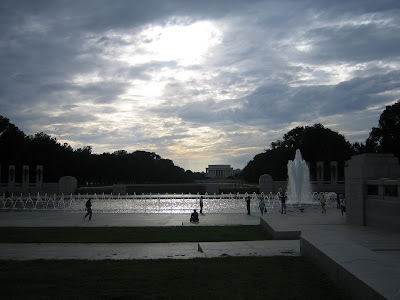 Last weekend, I took a second look at our nation’s capital, the closest metropolis to me while growing up in Virginia. Back then I considered it a real snoozerville. Didn’t really give it the time of day - not even when I spent two summers interning for The Discovery Channel in Bethesda, Maryland, a suburb of DC. 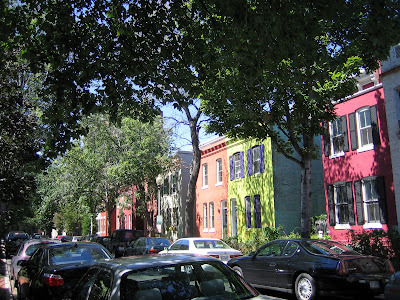 Today I’d have to say I found its political underpinnings appealing (instead of vexing), its historic rowhouses quite comely and, yes, its pulse quickened. 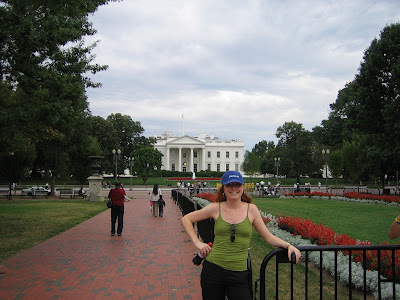 In a city where you can inadvertently pass the White House while strolling (as the photo above proves), I found myself taking in all the sites and monuments anew. There’s a reason so many tourists come here. It IS something to behold. I also checked out the World War II monument for the first time. The photo came out quite moody. But what really caught my attention was the food. Our memorable meals at Urbana, Proof, Cork and Cashion’s Eat Place demonstrated that DC is stepping up its culinary game. In particular, I have to cite Proof as the strongest evidence – pardon the pun – and the most standout meal. 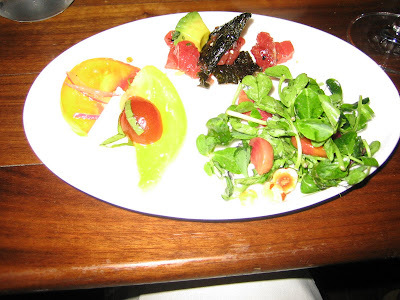 The photo below shows a few of the fab appetizers, from local heirloom tomatoes to the roasted beet and kaleidoscope carrot salad to the ahi tuna tartare served with a tasty seaweed crisp. But that’s wasn’t all. My amazing five-spice roasted Peking duck on a bed of charred green onions was worth returning for in and of itself, and we all swooned over the unusual sticky toffee cake. Oh, and yes, the wine was pretty good too. Clearly, I’m still licking my lips. Does this mean I could live in DC? The answer is yes. I’m not bumping it into my Top 15 Geographical Crushes, but if I wanted to return to the mid-Atlantic region, I would have to consider it, especially the desirable Dupont Circle area. Consider my longstanding biases shed – once and for all! Morton, you have some serious holes in your memory -- the food in DC was fantastic way back in '96, especially in DuPont Circle and Adams Morgan. Here's the thing about DC, it is arguably one of the most beautiful places I've ever been, well-engineered with a thoughtful mix of green-space and architecturally stunning buildings. Its public transportation system is nearly flawless (the exception being the inability to access Georgetown by metro). It is culturally diverse with a booming population of folks our age. Above all, it has an infectious energy uniquely its own. On the other hand, it is even more of a company town than LA -- it is harder to find politics-free discussions there than industry-free discussions here. It is expensive. And it treads very close to your extreme weather deal-breaker. 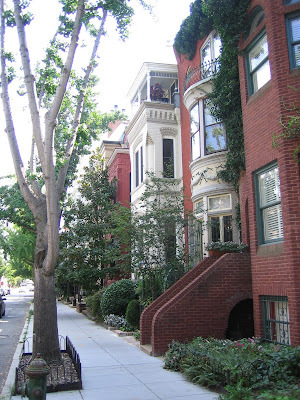 It comes down to a question of sustainable lifestyle -- is DC the sort of place you want to call home on a daily basis, or is it the place you visit for an extended trip when you're flush with cash and need a change of pace? DC is great except for all the people who live there. . . .